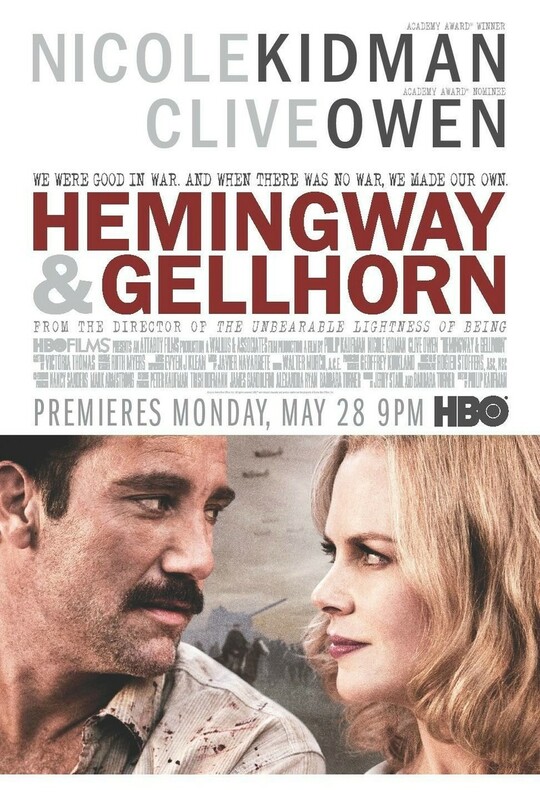 Hemingway & Gellhorn DVD and Blu-ray release date was set for April 2, 2013. The life of Ernest Hemingway comes into sharp focus here, particularly one period involving a woman named Martha Gellhorn. Martha is a journalist who spends her time reporting on the events of World War II, and the two of them meet and begin a torrid romance. While there is a great deal of passion behind their interactions with each other, that passion has the capacity to lead to hatred as well as love, and accordingly, it eventually turns sour. Hemingway married Martha, but she eventually demands that the temperamental writer grant her a divorce, something none of his other wives asked of him. From this great personal pain, Hemingway found the inspiration for one of his most widely read books, "For Whom the Bell Tolls."